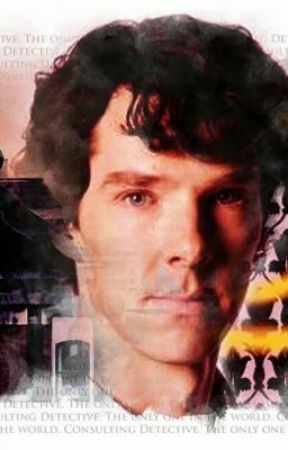 After another failed relationship and another girlfriend accusing John of being in love with Sherlock, John has to face a few things buried deep inside his heart. Sherlock ran his fingers through his hair impatiently as another night passed, another quiet, case-less night. There had to be a murder somewhere. Something had to be happening, or maybe something happened and he hadn’t taken the time to notice. The world around him vanished and facts appeared before his eyes. Flipping through them, he tried to uncover some mystery he could run off into the night solving. But the facts flickered out of sight when the front door slamming stole his attention. Tilting his head to listen to the boots stomping up the stairs, Sherlock waited, prepared for action. Watson stormed in, fists tight at his side, eyes lost in his mind. A mind palace of his own perhaps? By god, what would that be like? It probably stored useless facts and pent up blogs he wanted to write, but it quickly became obvious that wasn’t what was on Watson’s mind. His body was far too uptight, even for a military man. Sherlock was almost tempted to ask what was wrong, but why waste the breath? Watson wasn’t one to hold anything back. “You could say something!” Watson snapped with a deep growl that hit Sherlock. The sound made him shiver. This was new. Very un-John-like. Sherlock leaned back, feeling slapped. Of course he knew what the word meant, he wasn’t an idiot. What was Watson really getting at? He hadn’t done anything wrong; at least, he didn’t think so. Watson’s eyes found the door and he paused for a brief moment. Heart stopping, Sherlock couldn’t believe Watson was considering leaving. John hadn’t even said what was bothering him. Was he so mad? Sherlock hadn’t tried to offend him; then again, he never tried. It just happened. “John, wait,” Sherlock called quickly, pleading, as he stood from his chair. He hesitated, John’s name feeling strangely intimate on his tongue. For a moment, Watson didn’t move, chest stuck without inhale or exhale, and Sherlock was tempted to go to him, reach out and touch him. People seemed to find comfort in touch, he knew, but didn’t understand why. But the longer Sherlock left his words hanging in the dead space between them, Sherlock was beginning to feel shut out, unwanted. For the first time, Watson looked at Sherlock. 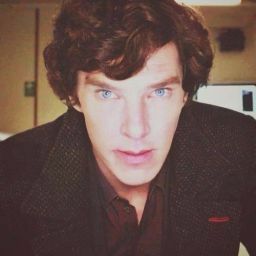 A mixture of emotions swam around in his gaze, emotions Sherlock desperately tried to analyze. Anticipation, anxiety, desperation, hope. There was something else, something Sherlock didn’t recognize. It was familiar, like he’d seen something similar before. “She left me,” Watson finally confided, his voice much like stone. Sherlock noticed that Watson was doing to him what he often did to Watson. Observing his reaction and what a sight it must’ve been. True shock fell over Sherlock. There was no reason for her to leave him, this time. In the past, Watson- according to women- had not done certain things like remembering birthdays and that pointless, unimportant information. But this time, this time, Watson had done everything right. He remembered birthdays and kept dates. He knew the names of her friends, family, even the pets. Phone calls were made and answered, little gifts and compliments were given, time was spent. Watson had listened well to the women in the past, becoming what every woman desired. He was perfect. In so many ways.